Teachers often spend as much as $500 of their own money…some probably more…buying supplies for their students and materials for their classrooms. Over half of Seminole County’s student population qualifies for the free or reduced meals program. The need for help is district-wide. Tools 4 Seminole Schools collects, stores and distributes school supplies and classroom materials to help alleviate this burden from teachers and low-income parents. The store has everything from pencils, notebooks, crayons and glue to tissues, socks and underwear… whatever is needed for students to be in school, ready to learn. Teachers “shop” for free and select what they need – and what their students’ need. Participate in a School Supply Drive. When your drive is over, drop off the supplies and have your team’s photo taken for our social media sites. Donate to Tools 4 Seminole Schools. Tools 4 Seminole Schools can leverage the funds to purchase supplies at deep discounts. Since opening in 2010, the free store has hosted more than 18,500 shopping visits, distributed more than $11.6 million in supplies to our students, teachers and classrooms including over 167,000 books and over 1.1 million pencils. 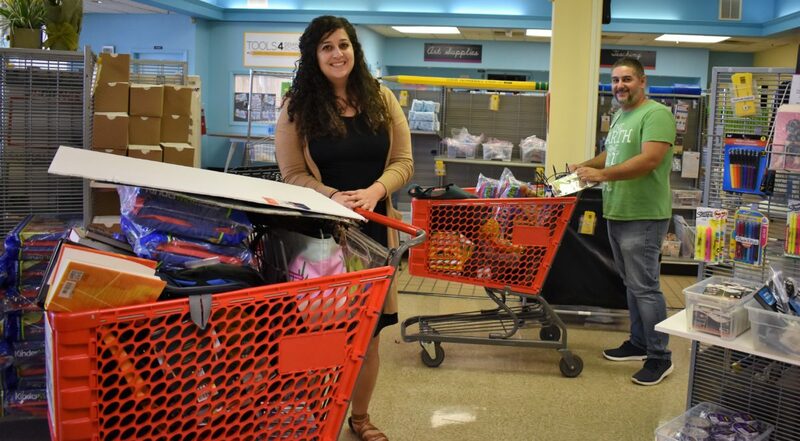 For the 2017 – 2018 school year alone, the store distributed $1.9 million in product. 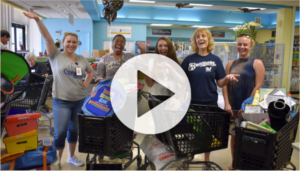 The store is funded through The Foundation and primarily supported by grants, corporate giving, individual donors and our annual supply drive every summer. Local businesses, community organizations and individuals collect thousands of schools supplies to keep the shelves stocked all year long. *Hours may vary around holidays and last check in is 30 minutes prior to closing. Please call 407-320-7768 for details. Refer to The Foundation section of The Insider for additional information, policies, forms and other frequently asked questions.